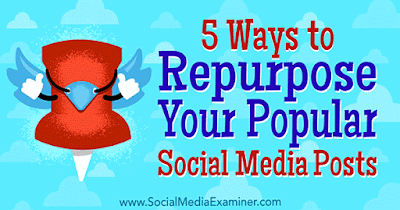 In this article, you’ll discover five ways to find and repurpose your most popular Facebook, Twitter, and Instagram posts. With the right tools, finding your most popular posts on Facebook, Twitter, and Instagram is easier than you might think. 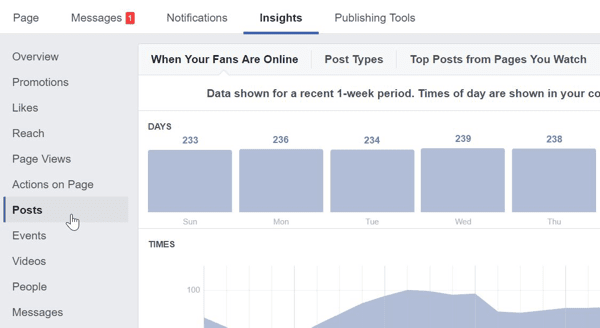 On Facebook, you’ll find the most popular posts for your business’s Facebook page by going to Facebook’s Insights tool. 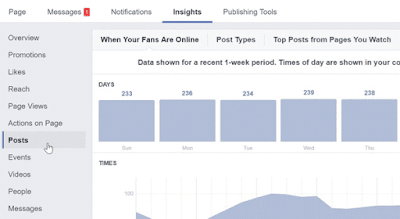 To use Insights, click the Insights tab at the top of your Facebook page. Then in the sidebar on the left, click Posts to see data about your Facebook posts. Scroll down to see the area where you can filter your posts. If you click Engagement, you’ll see data about Post Clicks as well as Reactions, Comments & Shares. It’s interesting to look at both. However, to find your most popular Facebook posts, disregard content that you paid to promote and focus on the posts that rank highest for Reactions, Comments & Shares. 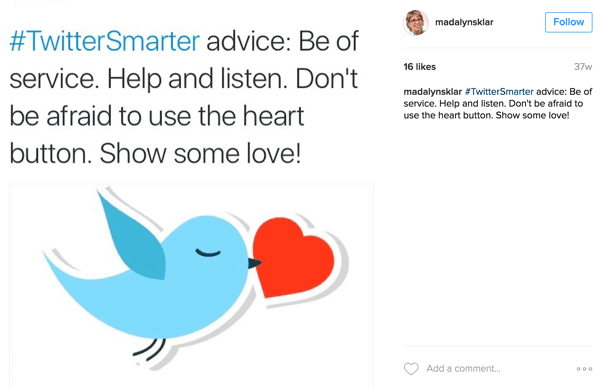 Finding your top Twitter posts is even easier than finding top posts on Facebook. Just head to your Twitter Analytics dashboard. Scroll down and you’ll find your top tweets month by month. Unlike Facebook and Twitter, Instagram doesn’t have a built-in analytics tool. However, you can choose from plenty of third-party Instagram analytics tools. If you’re looking for something quick, free, and simple, 2016 Best Nine can display your top nine posts for 2016 in a simple graphic. Unfortunately, the 2016 Best Nine tool doesn’t factor in comments or video views, so it’s limited. But hey, it’s quick and simple. What more can you ask from a free tool? 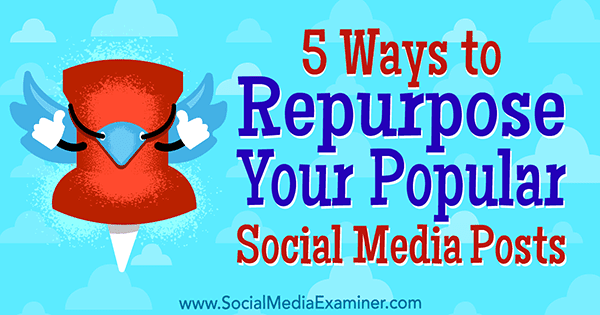 Now that you’ve identified your most engaging social media posts, here are five ways to repurpose the content in those posts. 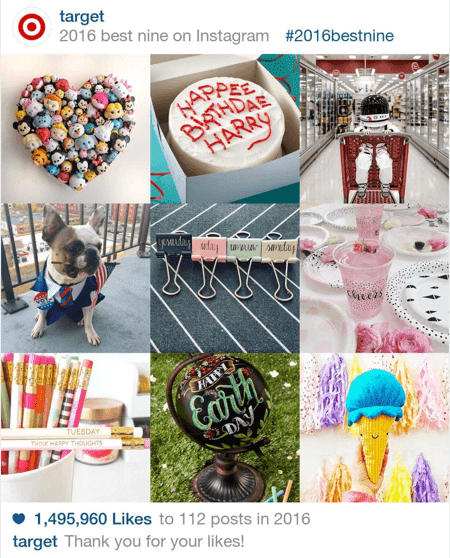 Whether you added a sweet quote to a beautiful scenic image or simply took a shot of your cluttered office and the picture went viral, turning it into a pin is an easy way to gain extra traffic. First upload the photo to a relevant page on your website. Then log into Pinterest, go to your profile, and click Pins > Save Pin. You can either put in the URL or upload your own image. After you pin your image, edit the description. Make it catchy and point it back to the page hosting the image on your website. Then post the pin to a relevant board and tell your followers about it. 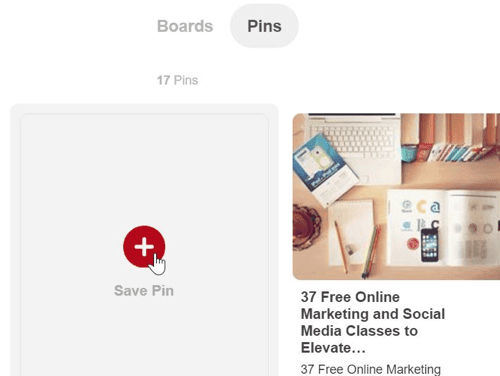 Creating pins in this way will send extra traffic to your website and expand the reach of your content. When you have text that your audience loves, repurpose it for easy engagement. Many popular tweets are stand-alone text quotes. You can pop the tweet text onto a picture and tweet it again. Heck, you can also post the image quote on Instagram, Facebook, and even Pinterest. For help creating the image, try a tool such as Adobe Spark, Canva, or Buffer’s Pablo. After you create an account, choose a template designed to work with a specific social media platform (for example, a Facebook- or Instagram-sized image). Then copy and paste the quote into the text box, choose a background, and tweak the image until you like the result. If content marketing is a part of your business’s bag of marketing tricks, coming up with great content ideas can be difficult. With proven Facebook posts, it doesn’t have to be. Normally the Facebook posts that get the most engagement are longer posts about serious opinions, cited research, or inspiration. If you have a post like that among your top posts, consider writing a blog post that repurposes content from the Facebook post. Similarly, turn a written post into a video to help your proven content reach a new audience. Check out this guide on how to create video on a budget if you’re ready to start with video. With over 70 million users, SlideShare is becoming a social media platform in its own right. If you’re not already creating SlideShare presentations, you should be! To create a great presentation, you need great content. If you already have a list of quotes or statistics that your followers love, all you have to do is put that content into a SlideShare slideshow. For example, this blog post was turned into this SlideShare. 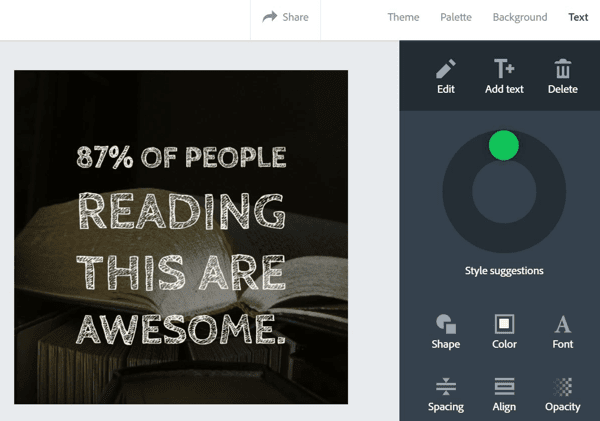 Of course, creating a quote presentation is only one of the many uses of SlideShare for business. You could also create a how-to guide or share popular information about your industry. 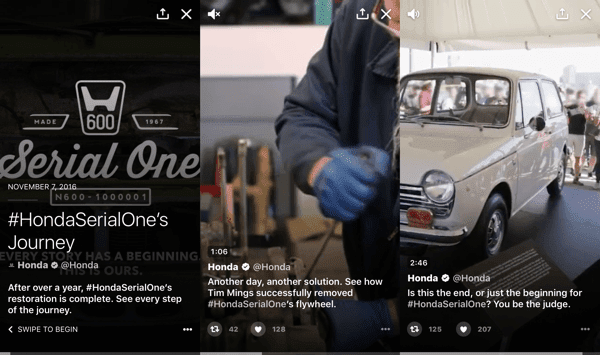 Twitter Moments is a new feature Twitter launched in October of last, but it only recently became available to everyone. It’s great for telling a story or bringing together awesome content. If you have a set of related top tweets, you can combine and reshare your tweets as a Twitter moment. Keep the title and description short and sweet. Give just enough detail to make someone want to learn more. Create a story, if possible. The best Twitter moments include a narrative. Use lots of image posts. A picture is worth a thousand words, which is a lot more characters than you get in a tweet. Repurposing proven content is the easiest way to attract extra engagement out of the work you’ve already spent a lot of time creating. Use these tips to grow your levels of engagement and find out more about your target audience. You already know this: Social media is about building relationships, not posting things for the sake of posting. Spend time looking at that list you’ve created to learn how you can deepen those relationships with your followers and give them more of what they want. What do you think? 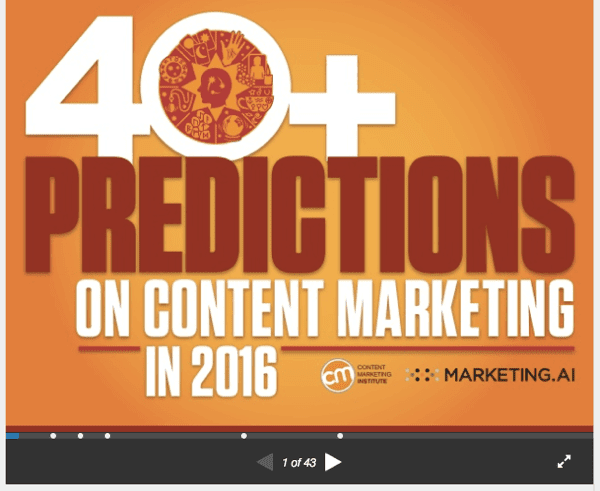 Have any other tips on repurposing content? Drop a comment so we can chat about it!